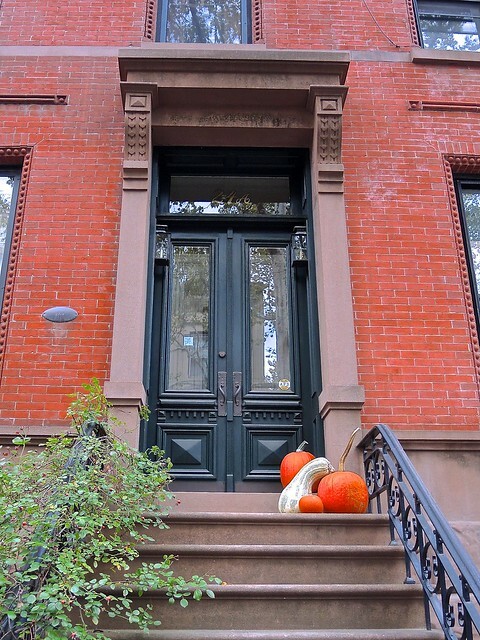 While their fellow New Yorkers complain about how the city is being destroyed by greedy developers, the residents of Brooklyn Heights bite their tongues. 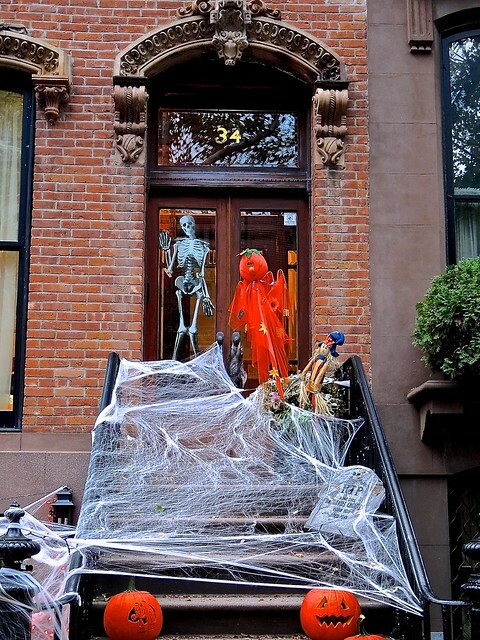 That’s because little has changed in the neighborhood in decades. 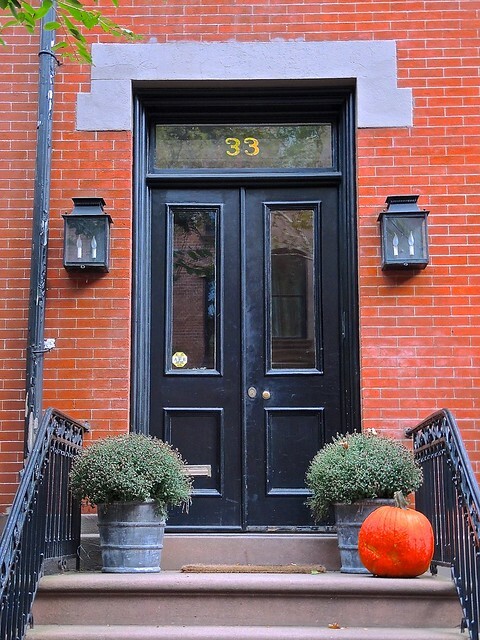 In 1965, the newly created New York City Landmarks Preservation Commission designated Brooklyn Heights as city’s first historic district. 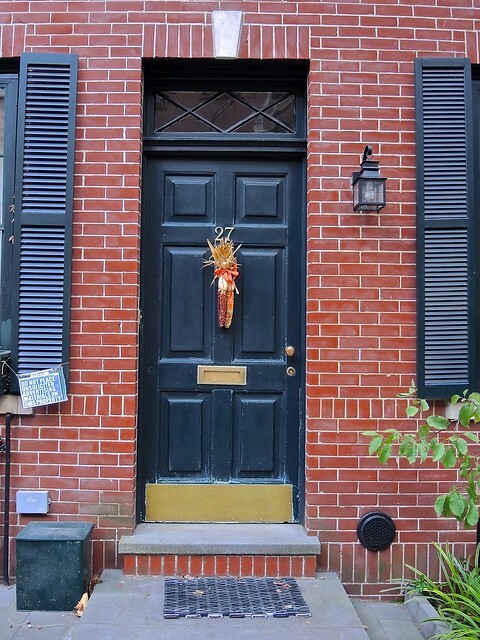 Later that year the neighborhood was also named a National Historic Landmark and the following year, it was added to the National Register of Historic Places. 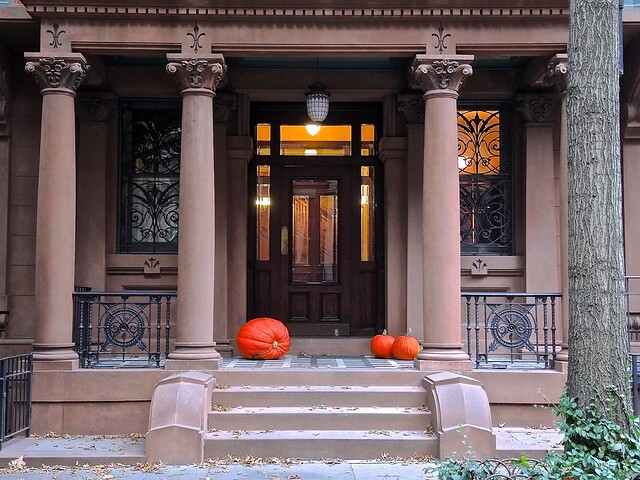 All of that governmental recognition and legal protection mean that Brooklyn Heights essentially looks the same today as it did 50 years ago—a mixture of brick homes, brownstones, grand mansions, and wooden houses (some dating back to the Civil War), punctuated with century-old shops and churches. 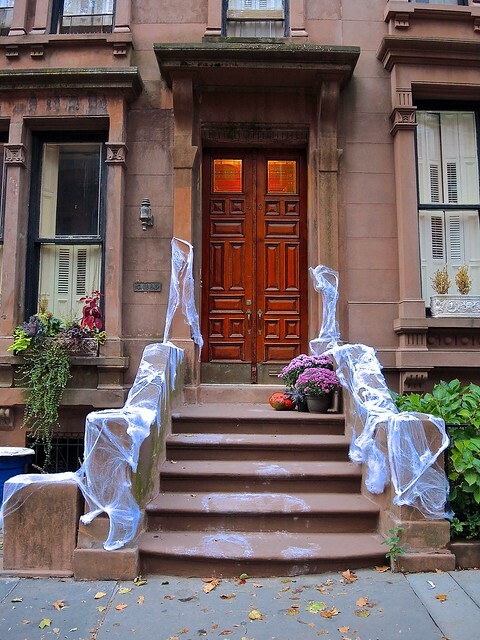 The area is beautiful at any time, but it takes on a special appeal when decorated for Halloween. 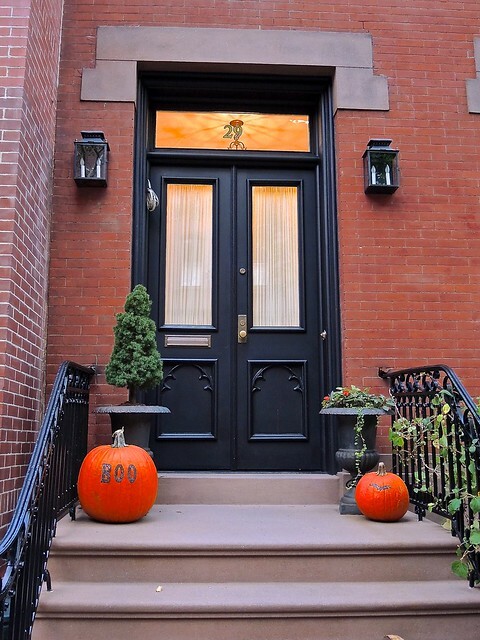 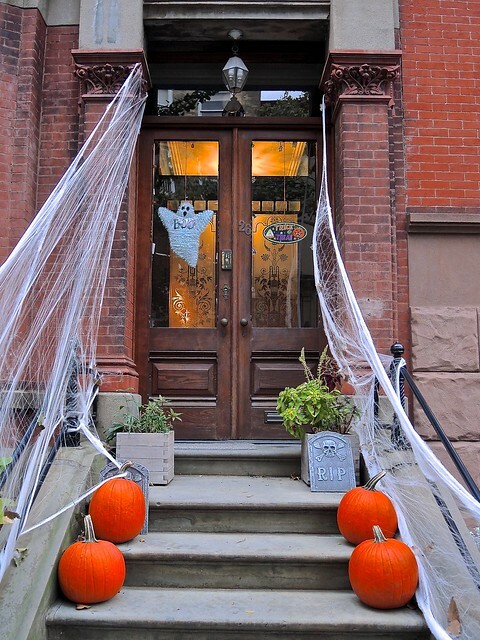 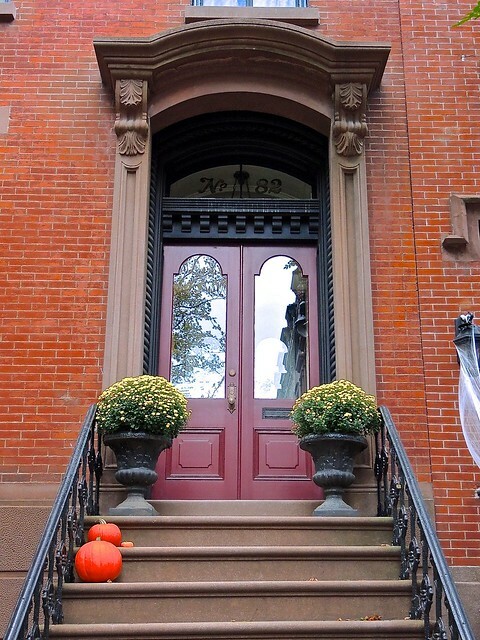 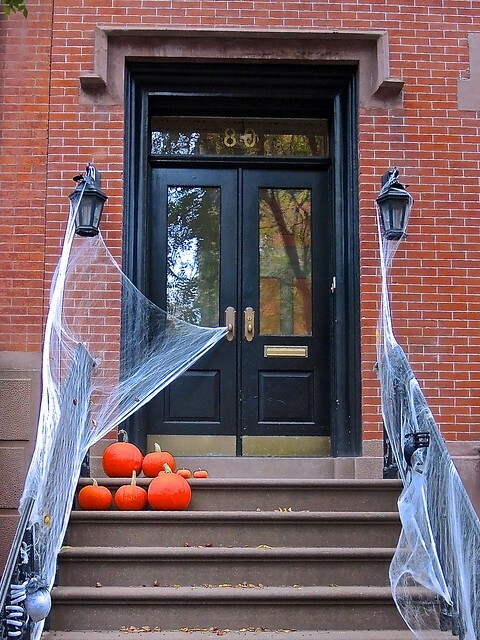 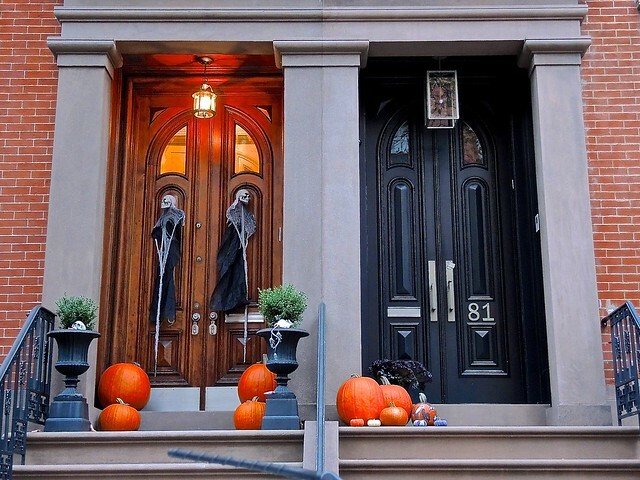 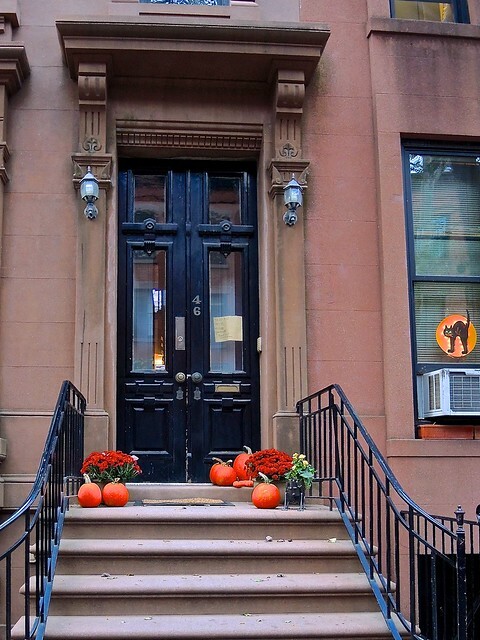 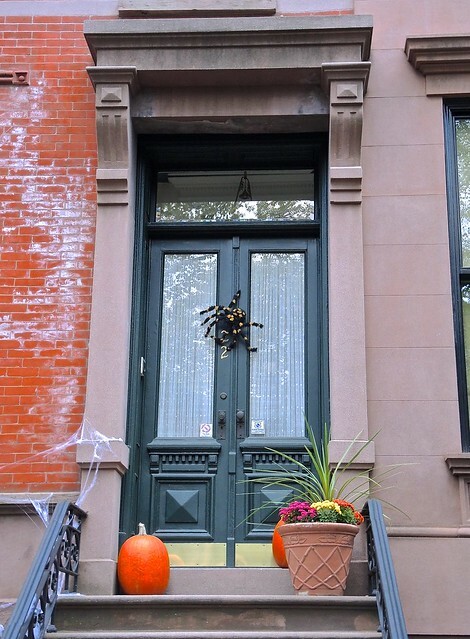 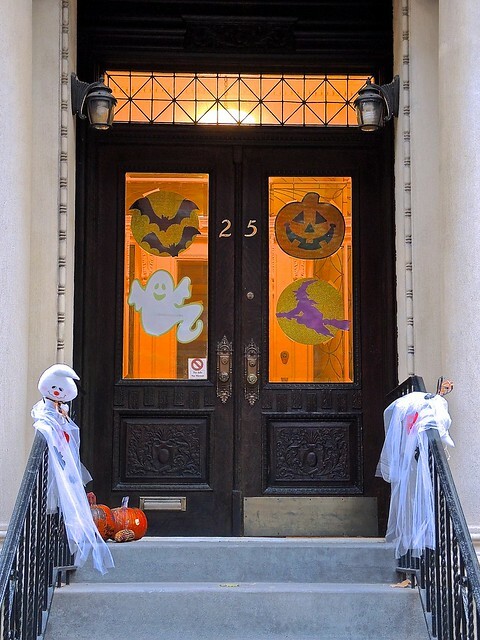 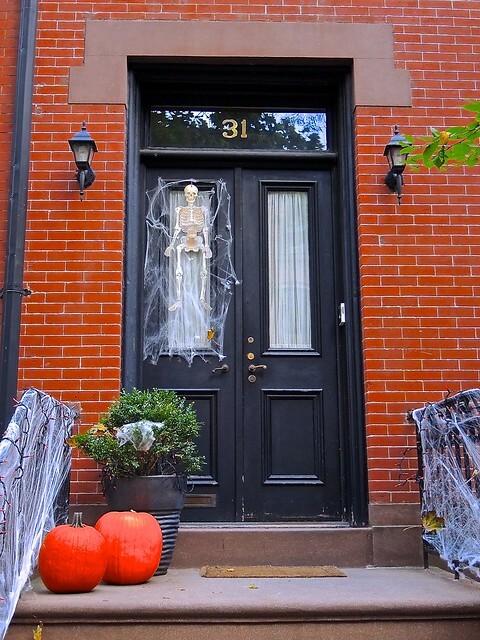 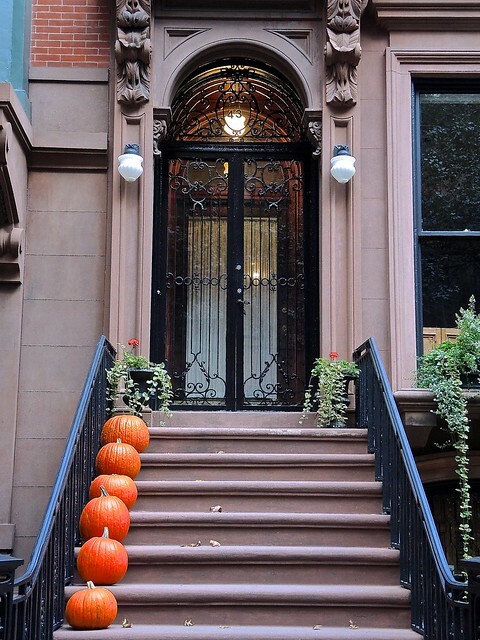 These are streets where young trick-or-treaters still troop from door to door, and few homeowners neglect adding at least a touch of seasonal color to their stoops and thresholds. 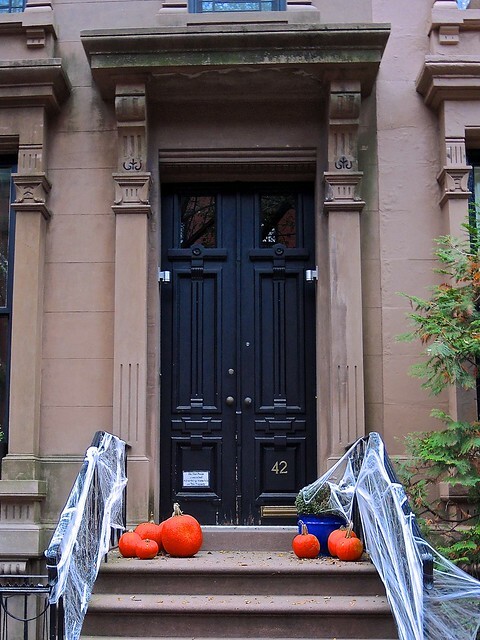 You are currently browsing the Blather From Brooklyn blog archives for October, 2015.